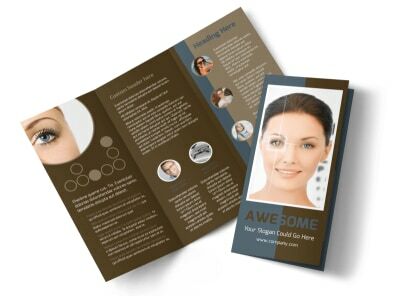 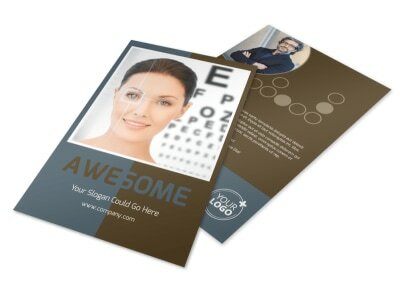 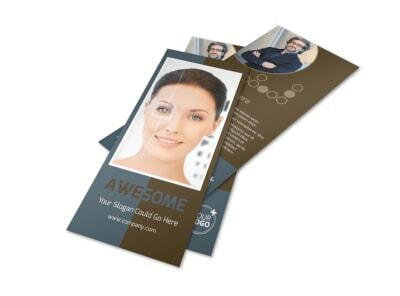 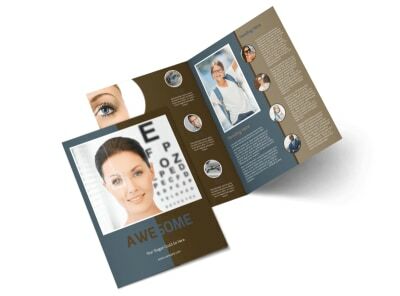 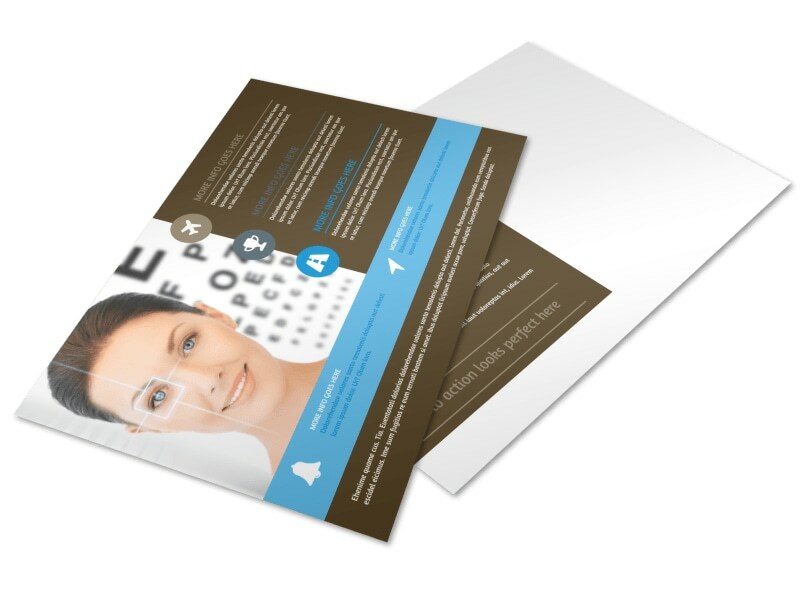 Customize our Vision Center Eye Doctor Postcard Template and more! 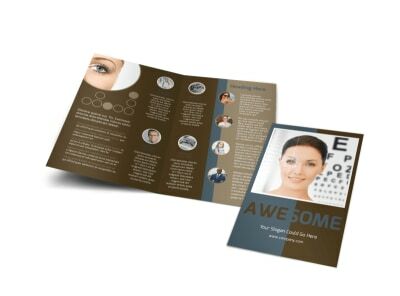 Reach out to existing and new patients with details on an eye exam special or discount frames with this postcard to promote your vision center. 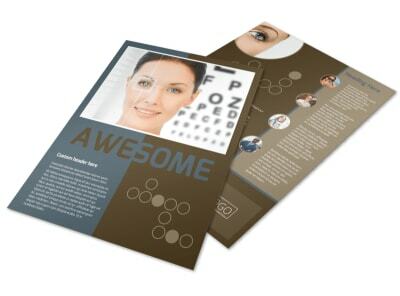 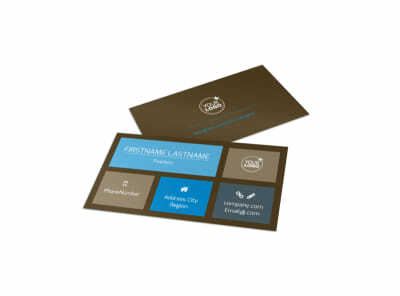 Add some personalization by choosing from different color themes, fonts, graphics and images. 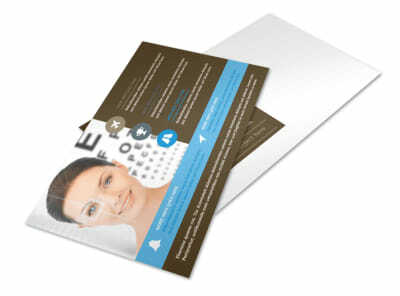 Get in touch with our online editor today to get started.